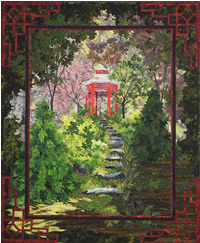 Sue's very first landscape quilt, "Winter Garden" (1997), garnered a viewer's choice award at the Prairie Heritage Quilt Show in Sun Prairie, WI. 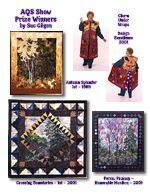 Since then her quilts have appeared in many regional, national, and international shows and exhibitions, winning dozens of awards and prizes. 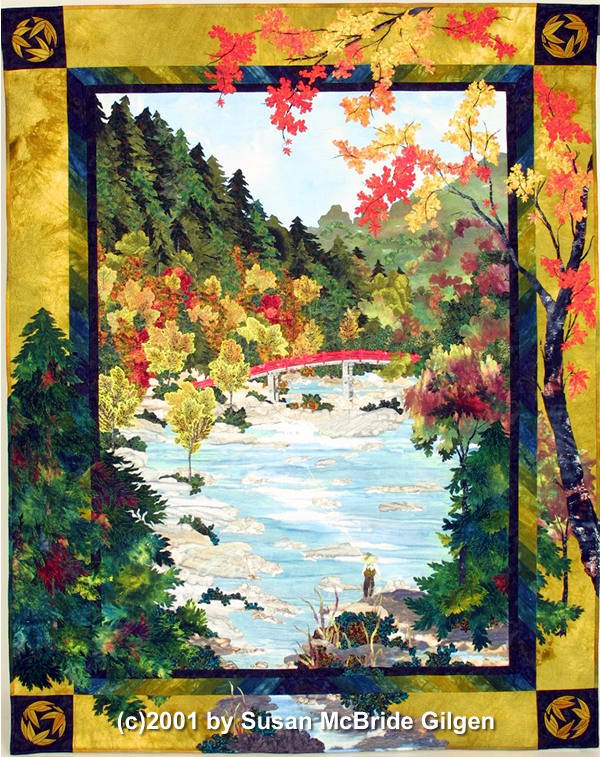 Indicative of the high quality of her quilts, Sue has won top prizes several times at the American Quilter's Society International Show in Paducah, KY. Click the images below to see these AQS Show winners. 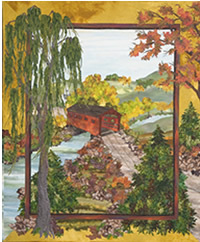 in the Pictorial Wall Quilt category. You can also view a complete list of awards and prizes.